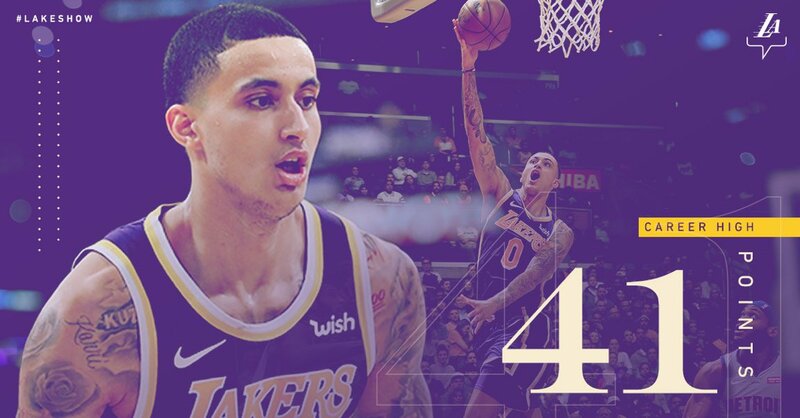 Enjoyed watching the Kuz show tonight. Thought overall the defense was pretty good tonight with the exception of a few too many wide open 3’s for the pistons. Great win against a crappy team. Such effort & defense! "Never attribute to malice that which is adequately explained by stupidity" or "Don't assume bad intentions over neglect and misunderstanding." - Hanlon's razor It recommends a way of eliminating unlikely explanations for a phenomenon (a philosophical razor). although he did have his best game, the arrangement is for a season I could laud him for points scored etc but alas it is only one game follow this up for a few more to get my vote! Edited by DaSmoothOperator, January 10, 2019 - 10:11 AM. Agreed; they’re celebrating this win like they won the championship. [expletive]in’ pathetic. You notice when we win the convo tends to stick to the game in question but when we lose all of a sudden everything gets analyzed from LeBron's age to Luke's coaching to who we'll sign in the summer. Really annoying. One win isn't indicative of further success but one loss is enough to confirm the sky is falling. Suppose that's just the difference in personality types. I agree but keep in mind there’s people who only post when the Lakers are losing, lol. It’s mostly crickets when they win but I can’t help but laugh at how panicked everyone becomes when we lose a game. Honestly I legit wonder how those folks cope in real life. Tonight its Jazz music Lance make em dance!! Edited by DaSmoothOperator, January 11, 2019 - 12:49 PM.